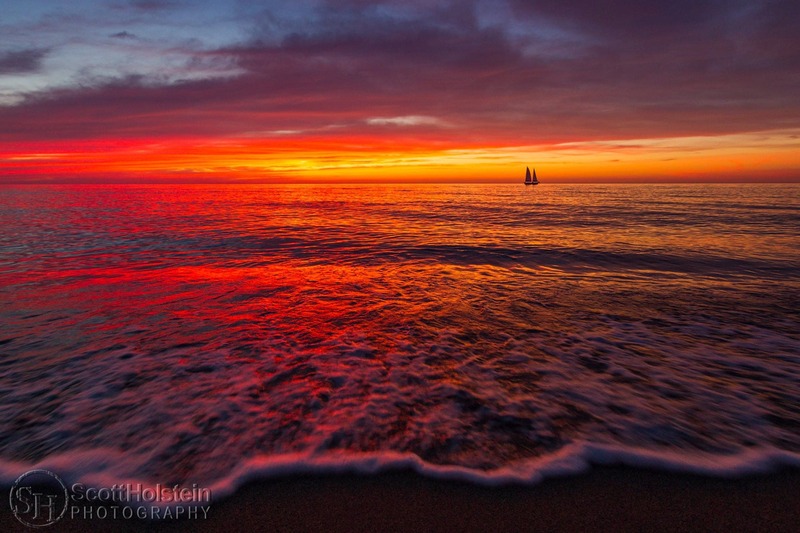 A sailboat sits on the horizon during a vibrant beach sunset in Venice, Florida. Click to license or to purchase prints. I hope you had a nice holiday season. I spent Christmas with my family in Venice, Florida. One evening, the sunset was shaping up to be interesting, so I grabbed the camera and hit the beach to do some landscape photography. The sky was fairly cloudy, and as the sun set, it gave the clouds some nice color. After the sun dipped below the horizon, though, the sunset kept getting better. Although already set, the sun was still lighting the clouds in the west and we got a very vibrant, colorful sky and reflection off of the water. It became one of those amazing sunsets that only come around every once in awhile. To top it off, a sailboat sat offshore, giving me a small focal point in the scene. A pastel beach sunset in Venice, Florida. Click to license or to purchase prints. A sailboat sails in front of a pink sunset in Venice, Florida. Click to license or to purchase prints. Silhouette of a sailboat during an orange sunset in Venice, Florida. Click to license or to purchase prints. 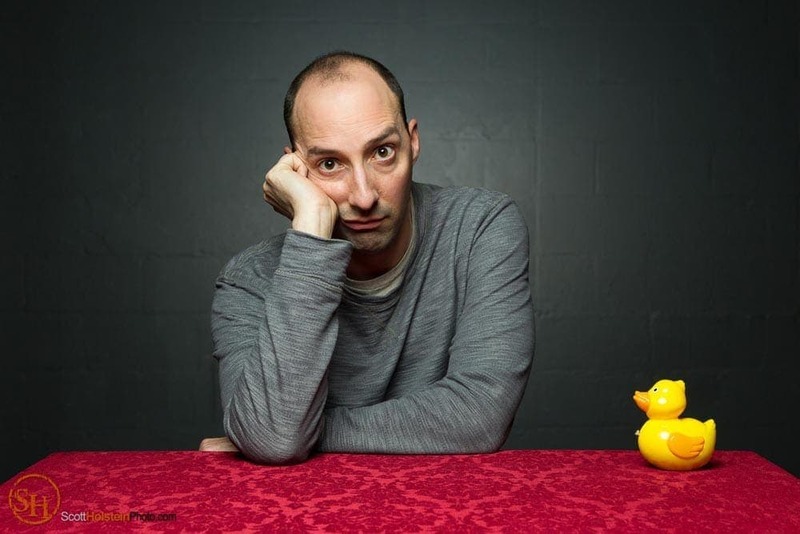 Portrait of Tony Hale, an Emmy-winning actor, with a yellow toy duck at the Young Actors Theatre in Tallahassee, Florida. Merry Christmas from Scott Holstein Photography! 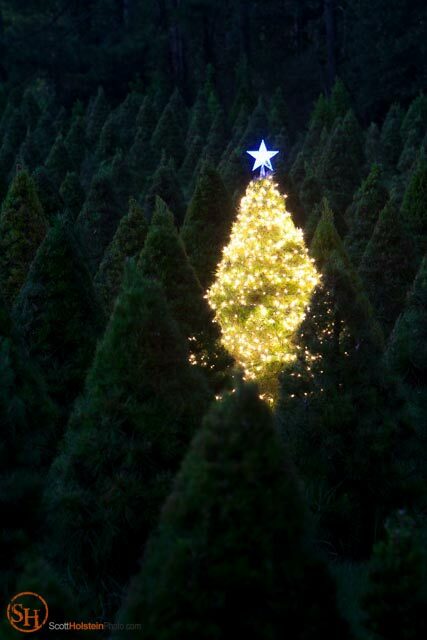 A single Christmas tree decorated with lights out on a tree farm in Florida. Merry Christmas from professional photographer Scott Holstein! 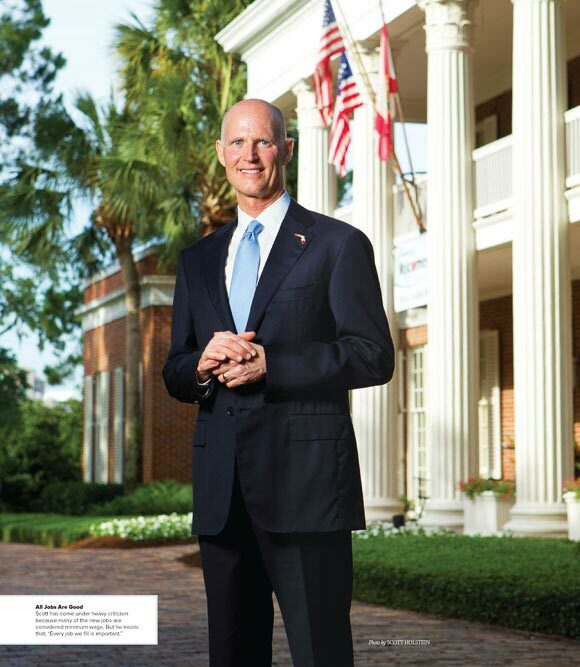 I landscape photos of this single Christmas tree shining with lights in a sea of trees on a tree farm in Havana, Florida for the cover of Tallahassee magazine. After I picked the best tree and chose my composition, creative director Larry Davidson and designer Saige Roberts styled it by decorating it with Christmas lights powered by a generator that we hauled on location. I shot at dusk to get a proper exposure so the glow of the Christmas lights stood out in relation to the darker, unlit evergreens in the foreground and background. I used a tripod for the slow shutter speed – this image was a 2-second exposure. To get the high angle, the tripod was set up on the back of my Jeep while I stood on a ladder next to it. May your holidays brightly shine this season! 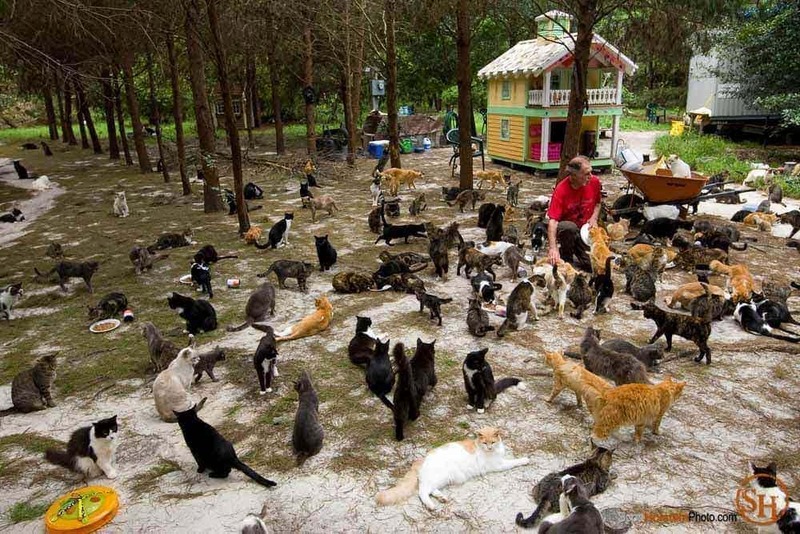 Craig Grant feeds his herd of hundreds of free-roaming cats at Caboodle Ranch in Lee, Florida.